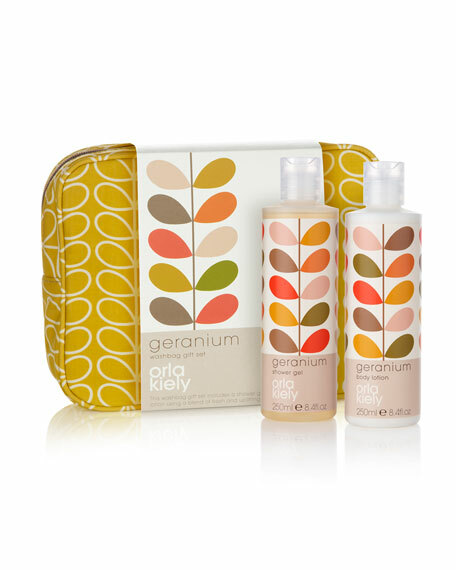 Organize and travel in style with Orla Kiely's new wash bag range. This spacious wash bag featuring two zip pockets for convenient organization and storage. Includes 8.4-oz. shower gel and 8.4-oz. body lotion.